Facebook’s free-but-restricted internet service, Free Basics, has been banned in India after the country’s national telecoms regulator ruled that the program and others like it infringe the principles of net neutrality. The ruling was not directly aimed at Free Basics, but the general practice of zero-rated internet services — those that let users access certain apps and websites without eating away at their mobile data. The decision from the Telecom Regulatory Authority of India (TRAI) comes after a long battle between Facebook and the country’s net neutrality advocates. 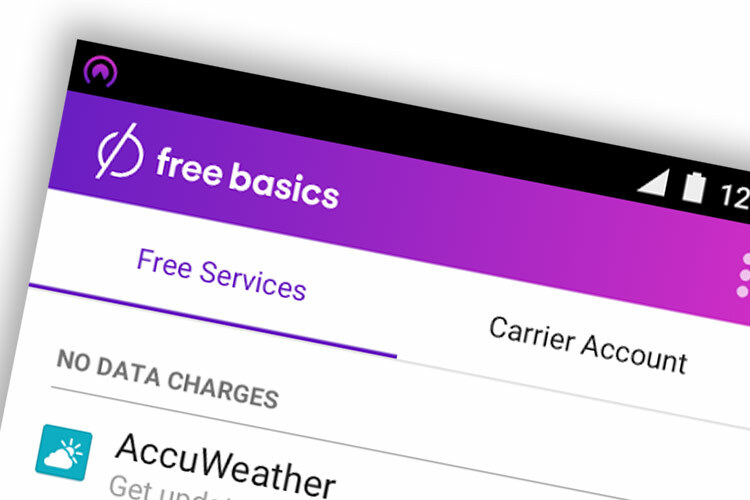 Free Basics was blocked temporarily in India last December while the TRAI considered its case, but other services — like Airtel Zero — had previously been the subject of protests. But although Facebook’s attempt to offer subsidized content wasn’t the only such program in India, it was particularly visible. After its temporary ban, the company started a campaign to try and win public support, reportedly spending nearly $45 million promoting Free Basics with billboards and newspaper advertisements. However, critics of Free Basics and zero-rating in general argue that the practice creates an unfair marketplace. By subsidizing content, companies like Facebook get to pick and choose winners, creating incentives for customers to use certain services because they don’t eat into their data. This in turn makes it harder for smaller players to compete and quashes innovation. This isn’t just a problem in India either: T-Mobile has faced similar criticisms in the US for its own zero-rated initiative, Binge On. But while Binge On only offers free streaming video, Facebook argued that Free Basics was more humanitarian. Not only did it offer free access to Facebook (of course), but also a range of helpful sites that offered resources like weather reports and health information. (Cellphone usage in India is relatively high, but it’s estimated that only around 19 percent of the population have access to the internet.) Opponents of Free Basics, though, argued that Facebook was being disingenuous. Although Free Basics didn’t include any advertisements, they said, it did collect users data, suggesting that the company was just laying the groundwork for a time when India’s population could be monetized via ads. In the end, though, Facebook’s campaigning has come to nothing. The TRAI’s newly-instated “Prohibition of Discriminatory Tariffs for Data Services Regulations” states that providers cannot “offer or charge discriminatory tariffs for data services on the basis of content being accessed by a consumer” — that is to say, they can’t offer content for free. In a press release, the TRAI notes that its decision was “guided by the principles of net neutrality,” and that its end goal is “to ensure that consumers get unhindered and non-discriminatory access to the internet.” Whether or not it achieved this goal is sure to be debated in India and around the world.